In fact, the product you are using may not be soap at all. Since the 1930s, commercial soap manufacturers have found clever ways to disguise manufactured compounds and cleaning agents by using names like “body bar.” Chances are if the word “soap” doesn’t appear on the product in your home – it’s likely a synthetic detergent in bar form. If you’re like us, you’re thinking “Great… Thanks for freaking me out about bar soap.” We wouldn’t leave you hanging like that. It is possible to get clean and smell great with products made from ingredients found in nature. We are excited to announce the launch of our own line of handmade soaps this Spring! 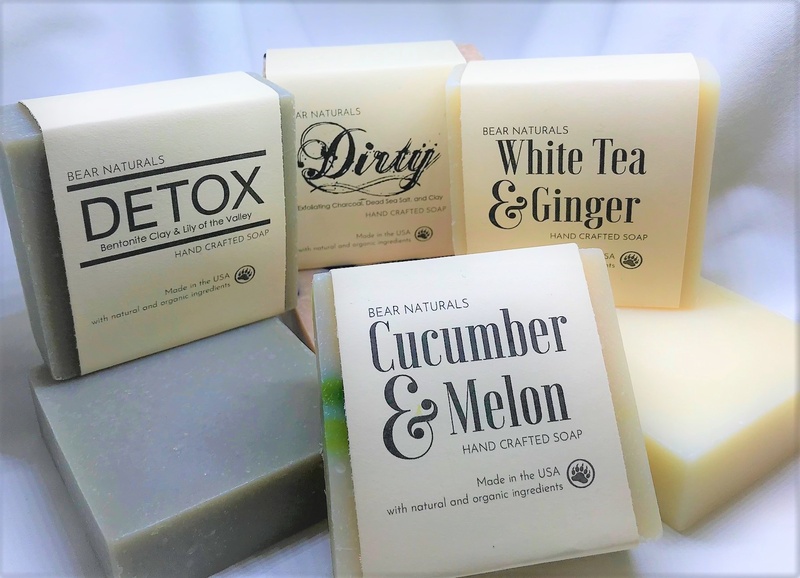 Bear Natural soaps are poured, cut, and packaged right here in the USA. The 5 ounce bars are minimally processed and use natural ingredients including olive oil, organic shea butter, and sunflower oil. Bear Naturals has a variety of scents including Cherry & Almond, White Tea & Ginger, and Sandalwood to name a few. We are also releasing a few bars that have detox and clarifying properties; Bear Natural’s Dirty Soap contains activated charcoal and dead sea salt while Detox Soap contains natural bentonite clay – nature-made ingredients for a natural clean. We even put together an Old School Soap with orange and real pine tar. Watch for the release & try them this spring!